Installing an alarm system is your first step to better protecting your family, possessions and having a safer home. It’s no surprise then that to have a security system that fails is a very serious issue. 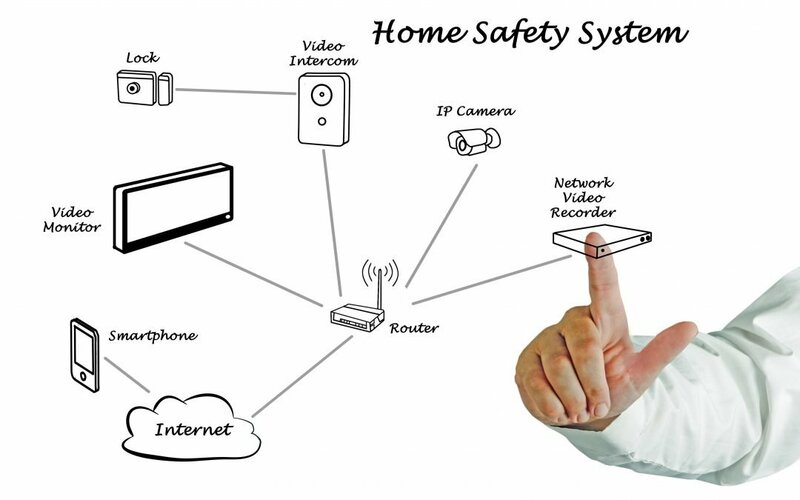 It’s possible to prevent security breaches and to ensure that your home and belongings remain safe. Here are the five common problems that first-time home security system owners often encounter along with their easy fixes. Just to avoid the dreaded false alarm, many homeowners prefer to have their sensor equipment set leniently. As a result, the equipment isn’t as reliable as it should be. For instance, motion sensors are usually programmed to exclude a few feet of crawling room so pets would not trigger the alarm, in which criminals are well-aware. Or glass break sensors are set too high and can ignore the sound of a quietly broken glass window. Ensure an alarm professional calibrates your equipment and have it tested be sure it’s in order and functioning properly. If false alarms are happening for no apparent reason, it’s likely that the equipment needs a service. You can avoid this with a regular inspection and maintenance schedule. This a common bad habit, along with using the same passwords for everything. Your password should only be known to those who are living with you. A good alarm system should allow you to issue temporary passwords and if your alarm is monitored you should have access records. Useful for times when you need to give a service or tradesman access to your house. Avoid simple passwords like the classic 1234, birthdays or addresses. Problem #4 – Installing incompatible security products. This can compromise your entire security system. For example a tracking security camera can disrupt a motion detector. Placing two pieces of equipment near one another may result in electromagnetic interference that can disrupt their function, this is particularly of concern with wireless products. Always stick with one installer unless you are well versed in installing equipment or when the addition is vetoed by your security provider. Unfortunately a large percentage of security system activations are false alarms. This is undeniably frustrating and expensive for homeowners who are inexperienced with security systems. This results in many of them deciding to avoid activating their system to avoid the inconvenience and expense of false alarms. Proper installation and maintenance is necessary to keep the system functioning properly. False alarms are typically more common in older and unmaintained systems. Owners need to be responsible for managing the equipment to prevent false alarms and allowing the peace of mind a good alarm system provides. Installing a security system is beneficial for the home as it serves as the best defense against break-ins and burglary. However, these devices may sometimes fail to fulfill their functions due to technical problems or our lack of knowledge in using them properly. It’s important to know the possible problems that may occur and the measures to be taken when they happen. The above problems and easy fixes will prepare every homeowner for the most common difficulties and help them maximize the benefits of their security system.